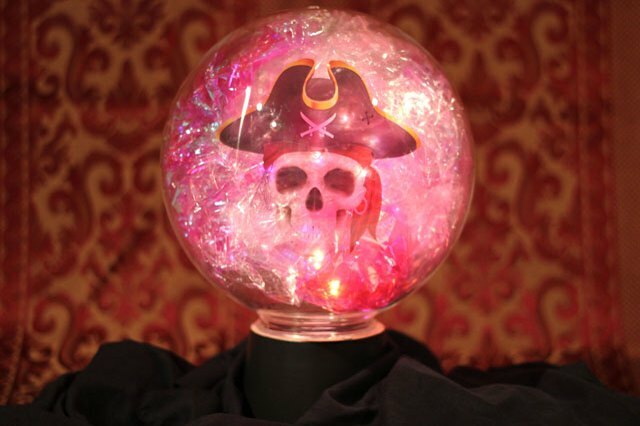 We're using our magical mystical powers, and without a doubt, we see some spook-tacular Halloween decorations in your future — like this glowing crystal ball. 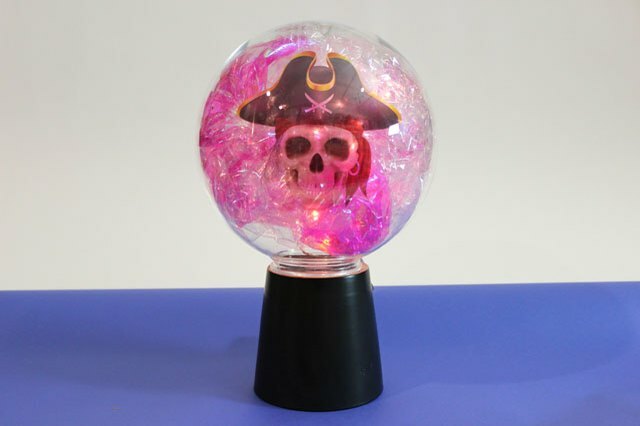 Made with an acrylic globe light cover, it even displays a phantom apparition. The spirits predict that it will be a big hit for your Halloween haunt. 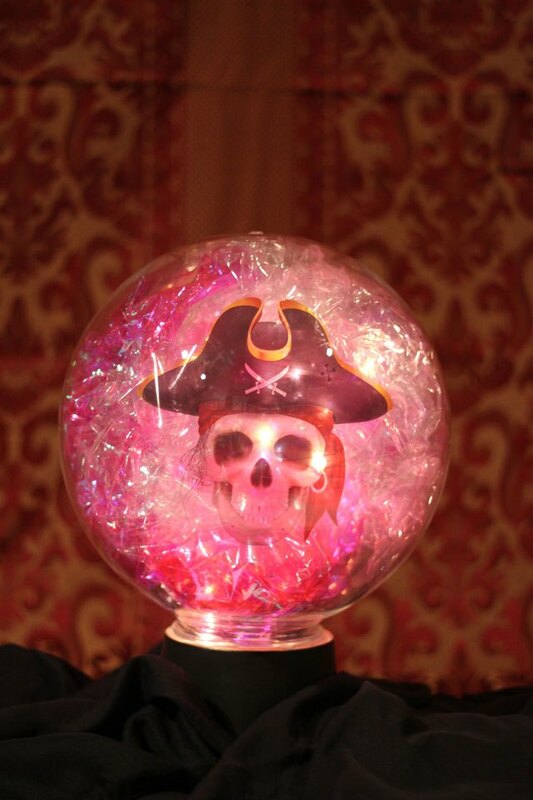 A 10-inch clear acrylic globe used for light fixtures makes the perfect crystal ball. You can find them at lighting supply stores. If possible, select a globe that has a neck so that the globe is slightly raised. 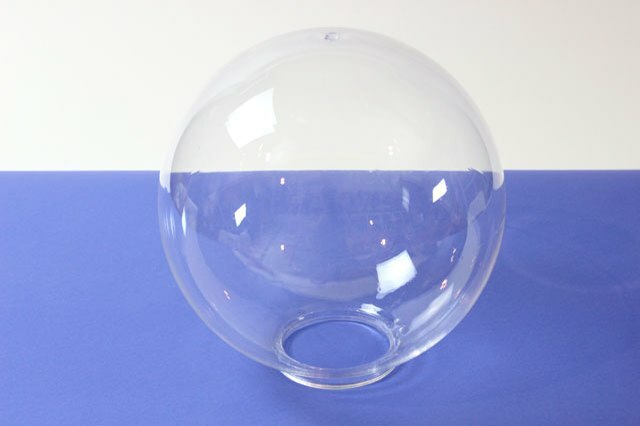 The globes also come in various diameters, so find the size that fits your decor scheme. 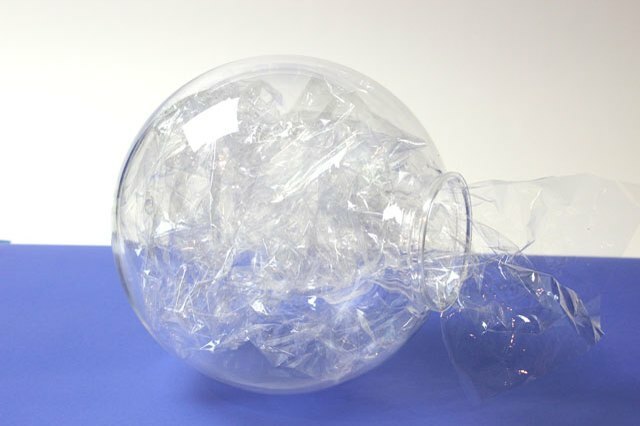 Place three sheets of clear cellophane wrap (approximately 12 inches by 30 inches each) in the globe, scrunching the sheets as you insert them. 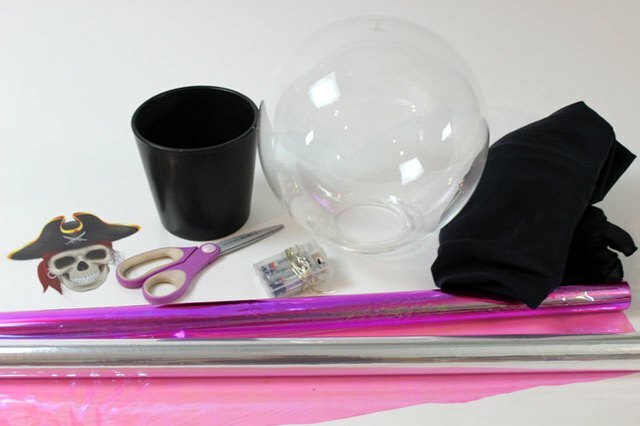 Cellophane wrap is available at party supply and crafts stores. 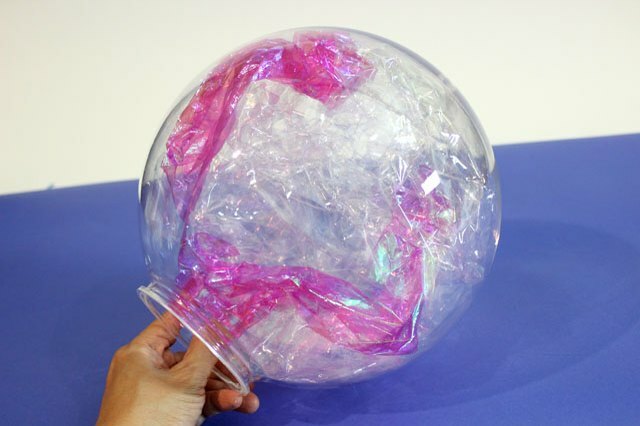 Cut three to four smaller sheets (about 6 inches by 12 inches) of colored cellophane and insert them in the globe, positioning them between the sheets of clear cellophane. Red cellophane is used in this example, but use whatever color you desire. The colored cellophane looks like smoke wafting in the globe. 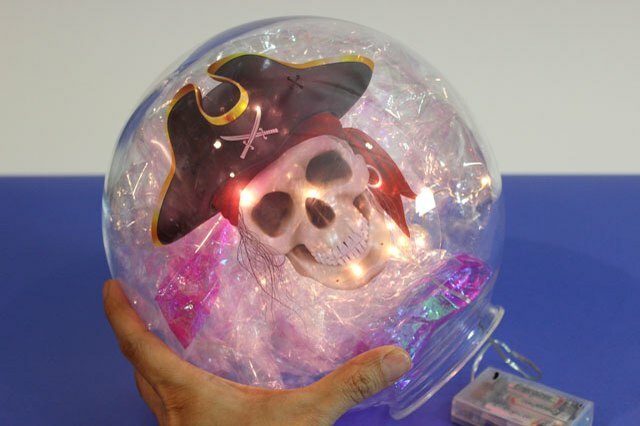 Insert a string of battery-operated LED fairy lights in the globe, sliding the strand in between the layers of cellophane to space the lights evenly. Turn the fairy lights on so you can see them as you position them. A string of about 30 lights is sufficient to light up the globe, and you can purchase the lights at crafts stores. I prefer fairy lights to traditional string lights because the lights are connected by a thin wire that is practically invisible. For a truly eerie crystal ball, we need a spectral visitor floating in the globe. 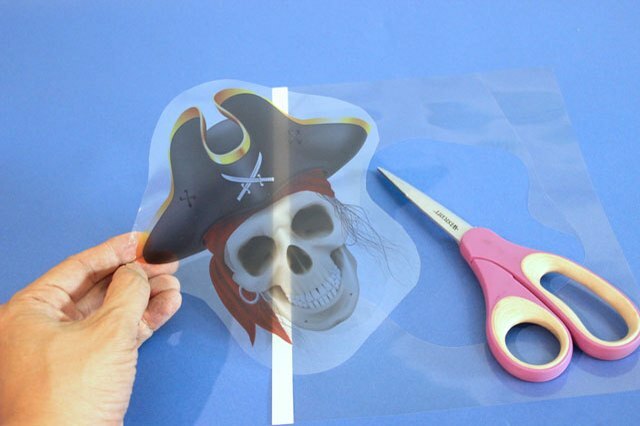 To accomplish this illusion, find a picture of a scary face and take the picture (or an image file) to a copy store to have it printed on transparency film. Cut around the image with scissors. 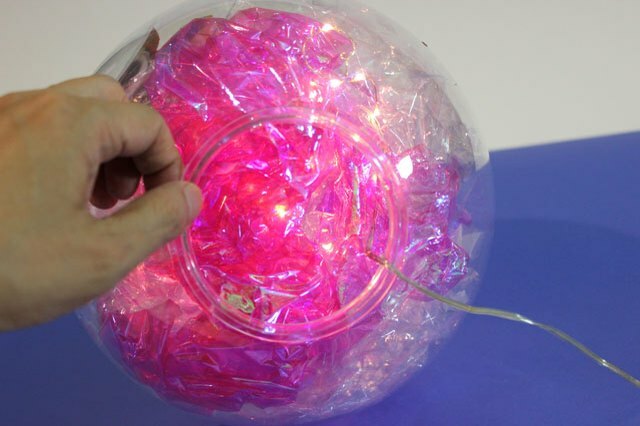 Position the image against the inside surface of the globe, allowing the scrunched up cellophane to hold it in place. Because the image is on transparency film, it looks like it is floating, and you can see through it. Spooky! Now that the fairy lights and spectral image are in place, stuff more colored cellophane in the globe to keep everything from moving around. One sheet that is about 12 inches by 30 inches should be enough. Find a vase or flower pot with a base that is the same size as the base of the acrylic globe. Turn the vase upside down, and display the crystal ball on top of it. Wrap fabric around the vase to hide the fairy lights' battery pack. 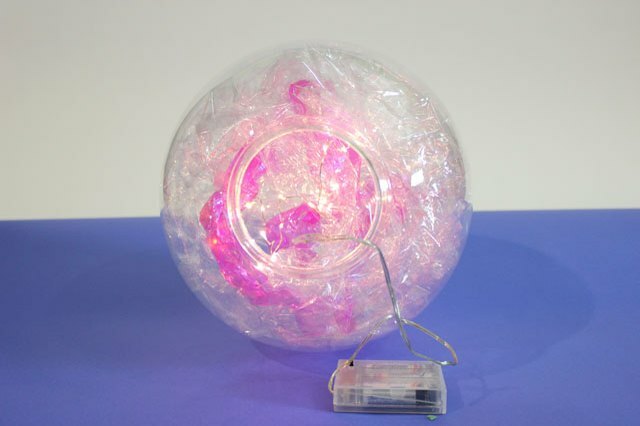 When the lights in the room are dimmed, the crystal ball comes to life as the combination of cellophane and fairy lights makes the sphere glow like magic. And the ghostly apparition greets those who dare to stare into the crystal ball.